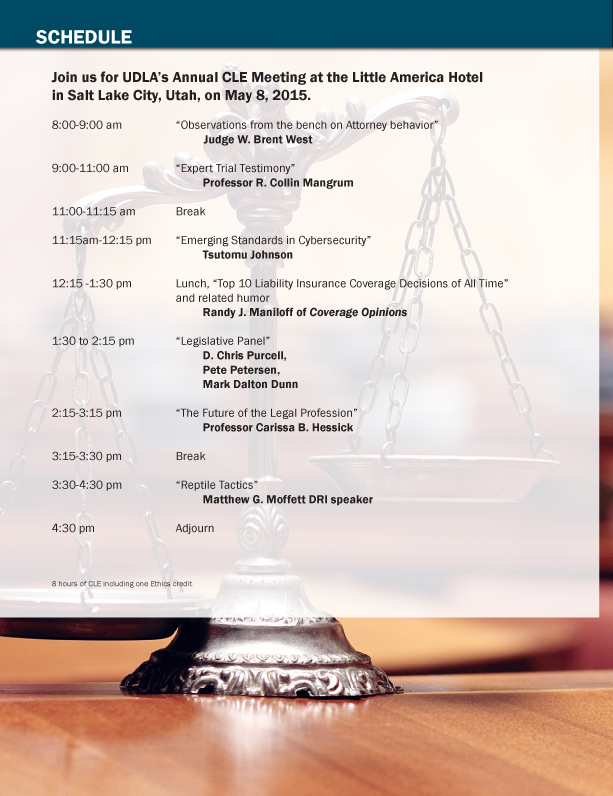 UDLA's Annual CLE Meeting takes place on Friday, May 8, 2015, at the Little America Hotel in Downtown Salt Lake City. We have a full day of great speakers lined up. We will also present our Legacy, Horizon and Lifetime Achievement Awards during the lunch hour.